If you are the one who is not much into casinos, lotteries, teen patti and slot machines, and still want to earn money in addition to getting entertained, then Rummy is all that you need to play! However, with a ton of rummy websites available today, it becomes tough to know which website is the right pick. This is where Online Gambling Guru comes to your rescue.Read more..
Online Gambling Guru is India’s leading gambling and casino review website. We help the novices as well as the experienced users to play rummy and the like. We help you shortlist the best rummy websites on the basis of various parameters. Our rummy experts have spent time playing rummy on various websites and paid attention to the registration process, the playing experience, the withdrawal process, customer support interaction and much more in order to craft a well-researched review for you. Every review provided by us is written the industry experts and provides the best info to the best of their knowledge. So, if you are looking for the best rummy websites, it is highly recommended to check our rummy website reviews before making a choice. Talking about rummy, it is one of the most popular card games in the world and probably the hardest one. The main objective of the game is getting rid of each and every card and finding the most appropriate group of trials, sequence or melds for the card. There are so many variations in Rummy and we will discuss all the types and rules in traditional Indian rummy. So, let’s get started. Well, Rummy is a famous card game in the world but especially in India. 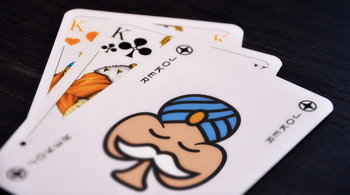 Rummy is played with one or more than one decks of 52 well-shuffled cards and 13 cards are given to each player. Each player gets to draw, change or discard cards one by one from the remaining cards after distribution. There are so many rules for validation of cards. When one of the players arranges all his 13 cards in the groups of three, four or more (depends on the arrangement) first, he wins the game and then the game continues if there are more than two players. 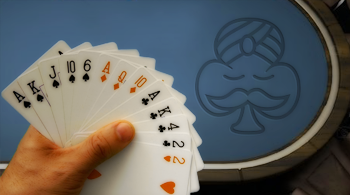 The players have to arrange the cards in the sets which are validated by the rules of Rummy. As we already discussed, 13 cards will be given to each and every player and all players can take the card from remaining cards and change that card with any of his cards if he wants to. That’s simple, isn’t it? Now, let’s talk about the sets you can make for arranging your cards. Indian Rummy is quite similar to the standard Rummy. The player to the right of who deals the card plays first and the play continues anti clockwise. The remaining cards are kept in two pile, one face up pile and another down face pile. A player can choose to pick a card from a face down pile and discard one from his hand to the face up pile. A player cannot choose to discard the same card in the same turn if picked up from the discarded pile (face up pile). The play continues until the player makes valid combinations out of its 13 cards. The one first to make these valid combinations is a winner. He declares his win by placing the 14th card over the face up pile and declaring ‘Rummy’. The player then shows the runs and sets made by him from his 13 cards to ensure authenticity. The combinations may be three, three card combinations and a four card combination that adds to 13 cards. The three card set could be three cards of the same number; series of a consecutive number of same type i.e. a 4, 5, 6, 7 of spade etc. As the run and sets are framed, they are not revealed but kept a secret. In Indian rummy, as the combinations are made they are not laid out in open till the player has made all the combinations required and pre-decided before the start of the game. In a case when no card is left, the face down pile of the remaining cards and no one has declared rummy till the last card was used, no one wins and the game is turned as void. Is Rummy legal in India? Rummy is absolutely legal to play in India. According to the supreme court of India, playing online rummy is not termed as gambling as playing it requires skills. So, any card game which involves skill and mind exercise does not come under gambling. However, some of the three card games like flush, brag are illegal as they are based primarily on hard luck and involve money. In the year 1968, Supreme Court lawfully declared Rummy as a game of skill as it involves picking up and discarding of useless cards. It is a game of skill as it required memorizing and changing your strategies as and when the situation demands. You need to memorize the cards already discarded so that you are not waiting for those cards to complete your combination. You have to change your combinations if you think your opponent has the card you are looking for and it won’t be discarded by him/her. Thus, the court strikes off the rummy sites from its ambit even though it involved high stakes of money in the process. Every game that involves money is also not declared gambling. For example, shows like Kaun Banega Crorepati and Kya Aap Panchvi Pass Se Chez Hai? also involved money and are legal. These games require the knowledge. You need to frame your strategies, learn its basics to excel in it and doesn’t mere require a stroke of luck to win.